Casio Japan has announced the EX-10 - a flagship high-end compact with a 1/1.7" type sensor and a fast 28-112mm equivalent lens. The model, which the company says it will be launching in other markets, features magnesium alloy construction and, like the existing EX-ZR1000, an LCD that flips all the way up, for shooting self-portraits. As usual for Casio, the EX-10 features a range of innovative shooting modes, in this case including a dual bracketing mode that will adjust two variables for each sequence (e.g. exposure brightness and white balance). It also has built-in Wi-Fi and the ability to shoot Raw, and upholds Casio's tradition of offering really good battery life (at 455 shots-per-charge, it's around twice as good as most of its rivals). We got the chance to shoot with several Casio models earlier this year and found them to be pretty enjoyable to use - especially the range-topping EX-ZR1000, which combined enthusiast-compact levels of control with some pretty sophisticated, automated high-speed shooting modes. 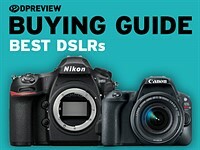 The only thing that really counted against it, from a DPReview perspective, was its use of a 1/2.3" sensor, which limited its appeal, when some pretty good enthusiast models with larger sensors exist. The move to a 1/1.7" BSI CMOS sensor makes the EX-10 seem much more attractive. The lens, with its associated control ring looks an awful lot like the excellent unit used in Olympus's XZ-1 and 2, and the Pentax MX-1 (the likelihood of there being multiple 6.0-24mm F1.8-2.5 lenses, all featuring the same two-barrel construction, is extremely small), which bodes well for image quality. Beyond this, magnesium alloy build, built-in Wi-Fi and a customizable front-plate shutter button that Casio says is for waist-level shooting make the EX-10 a pretty interesting prospect. The existence of several cameras coming towards the end of their product life-cycles (with the consequent price drops that this brings), could make life difficult for this latest Exilim, but we're still pleased to see Casio making a move into making the type of camera we like. Casio Computer Co., Ltd. announced today that it will release its new flagship EXILIM compact digital camera, the EX-10, on November 29. The newest addition to the EXILIM family boasts the world's first dual-combination bracketing function. With a single touch of the shutter button, nine photos are captured in a high-speed burst for a unique pair of parameter values for focus, aperture, white balance, exposure, among others. Now anyone can take high-quality photographs just like the professionals without complicated adjustments. The world's first dual-combination bracketing function. 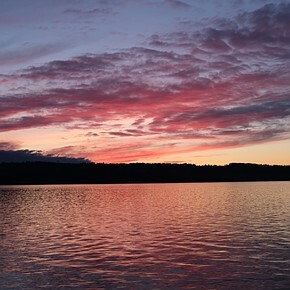 The "Auto Bracketing" function automatically varies a pair of shooting parameters over three steps, producing a matrix of nine images to choose from. The "Manual Bracketing" function enables users to explore the settings of each parameter manually. 28mm wide angle zoom lens with a maximum aperture of f1.8 (wide-end): This powerful lens is able to maintain a high resolution even at its peripheries. 1/1.7-inch Back-lit CMOS image sensor: The expanded size of the image sensor is optimized for high-speed burst photography. 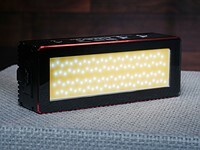 The improved sensitivity increases the amount of light that can be received, while the back-lit system more effectively directs light to the sensor's surface. The new model will be open-priced. Thats a trend camera, people buy them and use them. They don´t want to know anything about sensor size nor understand white balance. Look at the body color, it targets people who have fun taking photographs,,,no Geargeeeeeks. Raw capability and slightly larger sensor nice, but sRGB without AdobeRGB? What we need is about 700 more cameras on the market. My first little compact DC was a Casio QV-R3 back in 2003. It was handy, innovative, kept promise and I loved it. I never liked or even thought of a Sony because they simply tried to make things different and ended up worse. I am still enthusiastic about my S95 and also like my SX240but all that came later was a step back as well or say something different in a similar box producing inferior results. Times are changing - now I am starting to think there is only one way to go ahead and the signs say that the next compact or bridge DC will become a Sony. In other news, Casio will soon announce their entry into the home video market with the introduction of a HiFi VHS machine. Ehh really ...I've been waiting for that. I suppose I could go on but that's just a taster for those of you who are spouting off and haven't a clue of the history behind CASIO. Those that are too young to know these facts, fair enough, but to those that are, you need to learn respect and appreciate that CASIO are still prepared to produce cameras in a market whitewashed with gullible iThing users. I can appreciate Casio's past innovations and successes but unfortunately that doesn't mean much in assuring future success, esp in today's fast-paced industry. Here's a list of other companies which have had very successful and innovative products: Xerox, Kodak, Nokia, Microsoft, Blackberry, Novell, and Borland. Nice to see a level-headed response to my rant, Horshack. You missed the point I was making though, those aren't in the past, those are all right here, right now. The F-W91 is so popular and even notorious it has a wiki article, the XW-P1 and XW-G1 synthesizers totally decimate EVERYTHING in their class. The same goes for the current range of CTK and WK keyboards they manufacture, the CASIO models absolutely slaughter the Yamaha equivalent (and I'm a big fan of Yamaha). Well I certainly wish them success. I actually have a soft spot for Casio - I've been to one of their design centers in Japan while working on software for a product they were using. The F-91W is popular ... with TERRORISTS! That's true, but it's the notoriety and "connection" to danger that makes it cool and badass, not the fact that such people chose it as a weapon. It's free marketing even though I'm sure they would rather it was not related in that way. It's impossible to know for sure but I reckon at least two in every ten people who read the Wiki article on the F-91W will buy one. People are a sucker for danger, but you need to remeber the watch was already the most popular in the world even before they discovered that heavy stuff. Well I finally broke my Casio Fx-39 calculator this year. It was bought around 1978 so I think I got my money's worth. This looks a nice camera to carry around (I own an Oly XZ-1 with VF-2) but I wouldn't consider any camera going forward without a built in viewfinder/EVF. Why do manufacturers insist on making the LCD screens only tiltable in the vertical direction?! These are not camcorders, they are still photography tools first! What will you do when you're taking a vertically oriented picture??? Isn't it a 101 of photography to force to prevent yourself from taking "horizontal" pictures all the time? Sony started this with their NEX bodies which was shocking to me. Most everyone seems to follow suit now. Apparently the people designing these are not enthusiastic about photography. Still photography is the only thing I do with a camera. I own a camera with a display that tilts in all directions but I'd rather have a display like this. First, the camera strap always gets in the way of the display. Second, I tilt vertically much more often than horizontally but I have to move the display out horizontally before I can do that. Casio, if you read this, you have no idea how big the smile was on my face when I saw this announcement. Haven't posted here for ages but had to log in just to congratulate you. Until today I thought Casio had given-up on the camera market due to all the touchscreen nonsense people are brainwashed into lately, but no, you're still here and I'm seriously pleased you are. As you can see from some of the comments here, your marketing team need to work hard on making the doubters look like the misinformed loonies they are. I'm a designer myself and would say the camera in these shots is probably the best designed on the market in it's class. There's the Sony RX100 with it's slippery coating and no swivel screen, or the better designed Casio with a substantial thumbrest, substantial finger grip, grippy knurling on controls, more versatile and capable lens, and a flip screen. I'll take the Casio, looks the part, like a mans camera rather than a toy. Hope it's got manual video mode! I'd take SONY's far bigger sensor any time, even in a slippery body. I like the Sony too but I'd still rather have this Casio (providing it has manual video mode). The only thing I don't like about it is the curvature to the front, but that's just a personal thing. 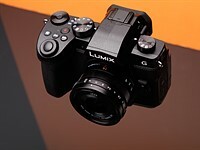 I think it's a very nice piece of kit but they will ignore video users at their peril, I think it will effect sales massively if this camera, classed as an "expert" model does not allow manual control over video mode. The latest RX100(2) that retails for less than this $800 rumored price has a tilt screen just like this camera, and the 'slippery coating' is pretty much mitigated by a $15 Sony rubber grip. What's 'a man's camera' look..? Because it's blue? I'll have to take a better look into the RX100II. I never bothered reading-up on the second model due to the pathetic lens speed at zoom. It seems to be rigged to look like something you would assume you'd get a resonably shallow DOF out of, when in fact I can get more bokeh out of a small sensor Sony HX5v compact at 10x zoom. Impressive camera, but I think they were playing manipulation games with the speed; there's no excuse for an aperture as slow as that on a lens with such a short reach. They basically made the camera seductive by giving it a larger sensor, but the design ensured you wouldn't feel the true benefit of it, I'm guessing to protect their SLT cameras. Regards the CASIO looking like a mans camera, I mean it looks substantial for it's size, well built, lots of hard edges instead of those yucky round-edged girly designs we've been bombarded with from clueless designers lately. A lot of big brand stuff looks like cheap Chinese backstreet-designs (and probably are). Much like the Olympus XZ-1/XZ-2. One thing I like about Samsung EX and Panasonic LX series' is the 24mm widest angle focal length. I have always liked my Casio cameras (EX F1 & ZR100). The EX F1 was just really special. Not so great IQ but cool features. The ZR100 really impressed me on one of my holiday's. Really good IQ and a well functioning HDR function to give me actually quite lifelike pictures. Not overdone. Also good performance and great battery life! If was was in the market for this type of camera my choice would be the Casio. And I've had the Oly XZ-1 and was a Pentax user in general. Very nearly a reskinned XZ-2, with the same lens and a very similar control layout. Some how CASIO managed to make the camera even heavier and bigger! Possibly the bigger battery, that offers a much greater span between charges? EX-10 has 0.5" larger screen than XZ-2. This is where most of that additional weight coming from. 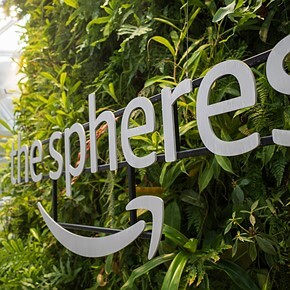 You could say this is great news for consumers as more companies compete to divide up a market that isn't there to begin with. As Thom Hogan points out (and this is where measurement numbers really do tell the story) just 3 companies are profitable from cameras. Since Leica's situation is unique, that leaves two. Thom Hogan should work for Bloomberg. wow, that's heavy for a compact. GM1 with lens, etc. is about 270g! As usual when we have a camera announcement on here that features a certain sensor size, noses get turned up in the air pretty much in unison. 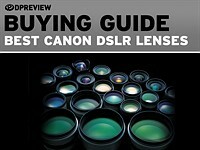 What people are missing is that the average person doesn't buy a camera based on sensor size. Besides tons of people have been making great images with the same sensor and even smaller for years. And this will continue for the foreseeable future. And any one here who has used the X-Z1 or MX-1 knows how extremely capable those cameras are. More cameras, different styles, designs and capabilities means more competition, innovation and in turn lower prices for all of us. And that's a bad thing how? Hi, I don't agree with your "What people are missing.." theory. I don't believe the "average person" even buys an enthusiast type camera to begin with meaning the target audience is set a bit higher. It would seem they want to tap into the RX100 market. The key here is price..sell it from $300 to $450 and they just MIGHT draw some Canon S series buyers their way. 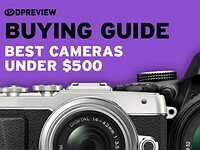 If this model sells for $550+ to $650 I think it will tank because it is basically the old same old-same old while being a notch below the RX100. Price is the key here. I and probably many others would have preferred that Casio had gone with a larger sensor and take it to the next level. I believe most "enthusiasts" are no longer blown away by 1/1.7 sensor cameras. The RX100 was a game changer for many. If few of the other big players except Fujifilm and Canon are offering enthusiast compacts with larger sensors, did you really think Casio would? 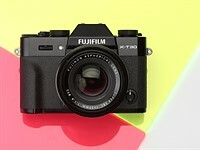 This new camera won't be anywhere near the 600-750 USD price of either the RX100 or RX100 II. It's really in a different class than the Sony and will be $399 at most. You will be way off on the price. If you check the internet the rumored price is 80000 yen which is about $800 these days. That would make me think it will be $650 easy. The title ought to say "re-enters" as Casio has made enthusiast compacts before. Their last was the EX-F1 nearly six years ago. All of these nice little advanced P&S cameras are about 2-3 years too late. For me I won't get anything with a smaller sensor than the Sony RX100, which is still in a camera almost as small and only really loses out with the slow f/4.9 aperture at the long end, but still has about the same DOF as this 1/1.7" sensor at f/2.5. The RX100 (II)'s sensor is being exposed to around half the light, wide-open at the long end of the zoom, during the same exposure time. Errm, Sony sensor is a 2.7x crop factor, the Ricoh sensor has a 4.84x crop factor, so 2.7*4.9 = 13.2 and 2.5*4.84 = 12.1. That small difference in DoF would not be visible to in the real world, so I stand by what I said, almost no difference in DoF at the tele end. Also the 1" sensor has 3x the area of the 1/1.7" sensor so if the aperture which corresponds to 1.59 stops. The difference in speed of f/2.5 and f/4.9 is 1.94 stops, so sensor is not being exposed to only half the light, it's a lot closer. It would only be half the light if the Sony sensor was 2x as large, not 3x as large. In the real world people do not use their cameras jammed at max telephoto all the time. I my world it didn’t take long to notice the difference in depth of field between a Nikon J1 and a Canon S100. In my photography I like context and depth of field, so for me the J1, with it’s 1” sensor, performed worse in depth of field in P mode than the S100, with the smaller sensor. 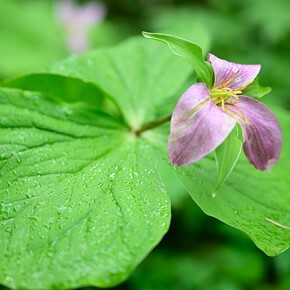 Yes I know about aperture priority mode! :-) Night photography images are much cleaner with the J1, but I can make do with the S100 using RAW. So the 1” sensor is better in some ways, and worse in some ways. Certainly the smaller sensor is good enough for many people in many situations. With the 1” sensor you don’t have to work as hard to get a lot of IQ, but you have to work harder to get a lot of depth of focus. Sorry, my mistake - it's nearer half a stop advantage to the Olympus/Pentax/Casio. Yes, It's a camera. Who was waiting for it? Who has been saving money for this under the X-mas tree? Nobody, I'm afraid. Casio could have well been releasing their own interpretation of the iPad or a new clock-radio, nobody would have noticed it. Pentax MX-1 has a serious competitor here. 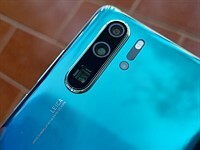 As long as it has not have a hot shue & filter thread , its not threating XZ-1 or XZ-2.... and XZ-10 has so small sensor that, it only can sceares some old keyboard phones! Hopefully, it will be a usefull & affordable tool for beginners. XZ-1 was very capable, hoepfully this caiso will b as well. It is not a bad camera. It is just that everyone who would want this camera already has it from another company. I hope it comes out at half the price. That is the only way they will sell it. Excellent post. I could not agree more. Casio needs to get OUT of the game for their own good. There are frankly too many cameras chasing dwindling consumers. Good for us, but if I cared about Casio, I'd have to ask them what in the world they are doing. This is not an Enthusiast class cam. This is a Soccer Mom purse cam. Does it come in pink? It's got a 1/1.7" sensor, an F1.8-2.5 lens, a control dial around the lens and shoots Raw. Well, it sure does have enthusiast price tag! All those cams are for people who have not graduated to "Enthusiast" class. These might have been that category 2 years ago. Now it is "Meh" catagory. Seriously? All big manufacturer axes it's p&s divisions and now this!? I love this lens...funny to see it now on FOUR different cameras! I wonder which body is best? 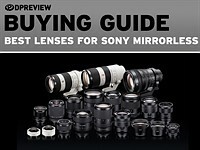 Yeap, this does seem to be an OEM lens (though as everyone is using the same Sony BSI sensor even if they designed their own 4x lens it would look similar). I wonder how long this has been in the pipeline? 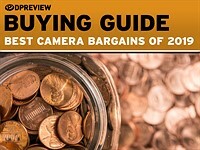 Like others here I agree the pricing is well off (as pricing generally seems to be for a lot of camera products now). Late and overpirced is not a good position to be in. It was the first Olympus compact camera lens that got the Olympus 'Zuiko' designation, so it was probably designed by them. They certainly made a fuss about it when it first appeared on the XZ-1. Another 1/1.7" sensor for what will probably be $399. No thanks. Too little too late. It's also a near direct copy of several cameras already available. I still have a 4mp Sony S85, circa 2001, with an 1/1.8 sensor... the enthusiast cameras back then used 2/3 sensors. Back when basic digital cameras were selling for $750+, they could afford to put larger sensors in. You still get a LOT more for your money today. Casio needs to get back in the game, but releasing an XZ-1 clone 3 years late doesn't impress anyone. They should have gone with a big sensor or crazy fast prime or something unique. It is more of an XZ-2 clone. 12MP BSI CMOS sensor and flip screen. Too late to the party.